Cebu universities and colleges have been leading higher education and produce one of the best leaders and intellectuals not only in the Visayas but also throughout the country. Cebu is one of most fast developing provinces in the country and a center of culture, education and business in the Visayan and Mindanao Islands. Talking about education, Cebu City has ten big universities and each have college, high schools, elementary and other branches of educational centers. Most of these universities and colleges generally offer wide selection of courses. However, there are some of them that offer specialized courses or major field of studies. Most of the popular Cebu universities and colleges are affiliated with Christian religious groups due to the influence of Christianity, especially Catholicism, since the first arrival of this religion in the 16th century in the province. Notably, the University of San Carlos is a Catholic university that is being administered and managed by the Society of the Divine Word since 1935. San Carlos is the oldest education establishment in Cebu Province, which started as a small school during the Spanish period (1595). Now, it has four campuses including a school and an engineering and science. 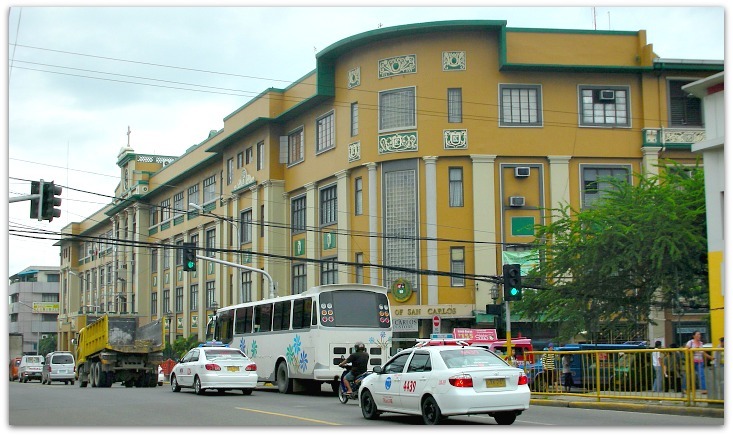 The main campus is located at the heart of Cebu City wherein the administrative offices are established. 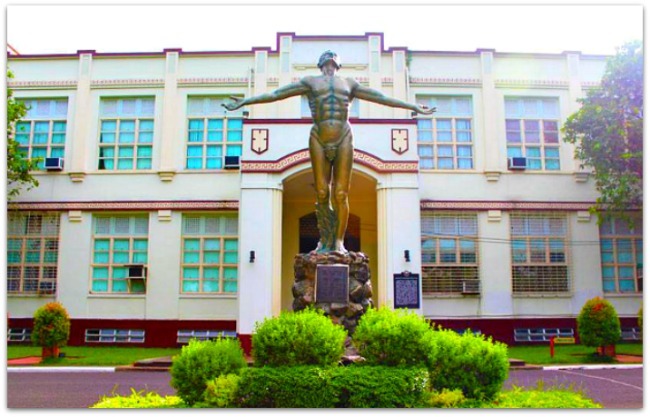 Another catholic university is a popular one located in the metropolitan – University of San Jose-Recoletos. This was established by the Augustinian Recollects, another religious society, in 1947. San Jose-Recoletos has so far three established campuses in Cebu. Since not all Cebuanos are Catholics, you can also find popular non-religious Cebu universities. One of the oldest universities is Cebu Normal University which was established in 1902. This is a branch of the Philippines Normal School, and it got award a university status in 1998. I remember it was still called a college when I was at san Carlos University back then! Another famous non-sectarian university is a national institution called the University of the Philippines Cebu. It is granted an autonomy as a unit of UP System in 2010. As a governmental higher education establishment, it offers scholarship programmes that award deserving students to study the tertiary level for free. The other popular university is known for its medical courses as its specialized programmed. Cebu Doctors’ University, which was granted university status in 2004, was located in Cebu City just adjacent to the Cebu Doctors’ Hospital but is moved to Mandaue City – another promising and progressive city in the province. The following are some of the major courses that students take at these universities and colleges. The following are the present Cebu universities and colleges in operation. Some of the colleges have been given university status in the last fifteen years. In addition to the schools aforementioned, there are recent moves and development, such as additional numbers of universities or colleges in Cebu. For example, Centro Escolar University is coming up soon in Cebu. This will be the fourth campus of that same universities established in Manila, Malolos and Makati - all of which are located in Luzon region. Just for the figures, Cebu City has 68 public elementary schools, 23 national high schools, and 28 night high schools (this one by city government). The bigger universities normally have around 20 to 30,000 students taking up various majors of studies. Most of these students are not actually from Cebu Province but from the neighboring regions and provinces, especially from Mindanao and Visayas. Some students live in school dormitories and homes run by schools themselves but mostly are staying at boarding houses located nearby universities campuses. Those who are from Cebu City and close by areas commute every via PUJ (or Public Utility Jeepney) or the ‘jeepney’. The education system in the Philippines is modeled from the American system but it differs slightly in some aspects. However, being a colony and having adapted the American educational system, English as a mode of instruction is the basic policy. English language is being taught to students starting at the elementary level. Thanks for finding this page. This only serves as guide to the universities and colleges available in Cebu City and nearby cities. However, there are exceptions to this rule. At some point, teachers will at times talk in local language which could be the predominant student's mother tongues. Another case is that when study our national language, teachers would usually teach in Pilipino - the national language that everybody must take since elementary level.